Abstract Based on the perspective of coupling coordination, the article measures the overall development level and coupling coordination degree of manufacturing industry and manufacture-related service industry from 2007 to 2014. The measurement was made from the aspect of industry and regional level separately. And refer to the sector of industry scale, economic benefits and growth potential, social contribution, the evaluation model was built and through the model we can simulate the trend of coupling coordination degree by modulating the coefficient of increment and stock. The empirical results show that : (1) the overall development level of manufacture-related service industry is lagging behind manufacturing industry and the coupling coordination degree between the industries is not ideal. It improved gradually from type of recession to moderate coordination. (2) according to the industry comprehensive development index, the paper summarized the coupling coordination development type of manufacturing industry and manufacture-related service industry to fluctuant synchronization, convergence of evolution and unipolar dominant. The study also shows that the industrial development level is essential to the coupling coordination degree of two industries. In the coupling coordination development type of unipolar dominant, the low development level of manufacture-related service industry restricts the coupling coordination degree between the two industries. And the type of synchronization can contribute to step over the difference of coupling coordination. 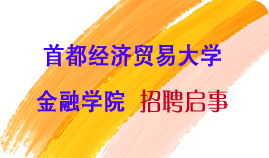 (3) at the present stage, stock resources advantage is the main power source to improve the coupling coordination development level of two industries. Hence the correlated polices of two industries to optimize the stock resources and cultivate high-quality increment resources are rather crucial to advance the coupling coordination degree of manufacturing industry and manufacture-related service industry.